Dominic Man-Kit Lam (PhD 1970) is often called a modern Renaissance man. No doubt about that: he has excelled in both science and art, not to mention business and philanthropy. Yet for all his varied achievements, there is a common thread in most of them: the human eye. 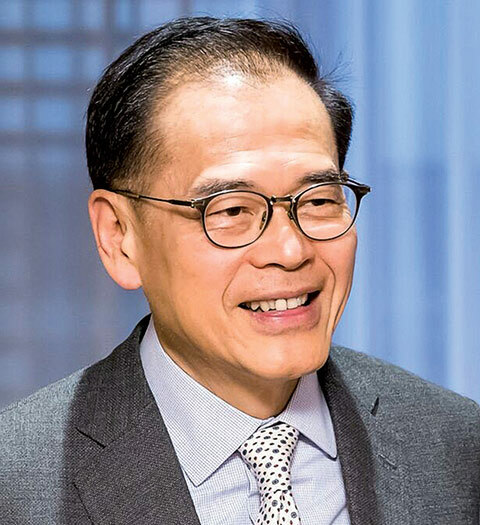 An expert in ophthalmology, he is the founder and chairman of the Hong Kong-based World Eye Organization, which treats low-income people for eye diseases. His personal wealth originates from a breakthrough in cataract treatment. And he is an internationally respected artist who first made his mark – and created a new art form – by photographing the eye. From the start, Lam was a Renaissance man in a hurry. 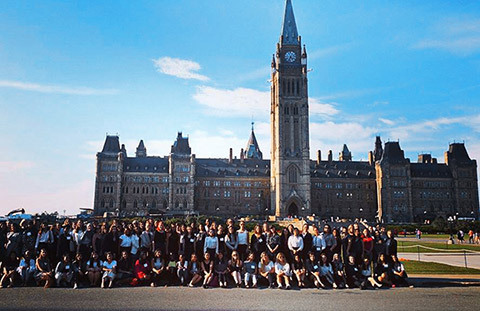 After getting his PhD at U of T in a year and a half, he earned a post-doc in ophthalmology from Harvard Medical School and at 24 joined its faculty. He soon moved on to Baylor College of Medicine in Houston, where he came up with the biotech-based means of preventing secondary cataracts that made him financially independent. In Texas, they call him the father of the state’s biotech industry. Or both at once. While photographing the eye in 1980, he discovered a new artistic process now known as chromoskedasic painting, which allows colour images to appear vividly on black and white photographic paper without use of dyes or pigments. His artworks, ranging from chromoskedasic to traditional Chinese styles to abstract expressionism, now hang permanently in major halls of government in Beijing as well as top international galleries. One of his pieces sold recently in the U.S. for $1 million. 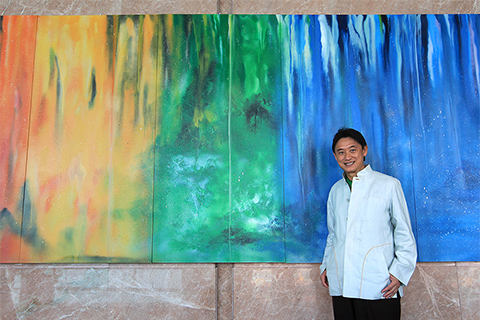 Many of his artworks are very large – in all things, Lam likes to think big. His World Eye Organization, mainly selffunded, is well on the way to its goal of establishing an eye hospital in every province of China by 2020. After that, he would like to expand internationally.